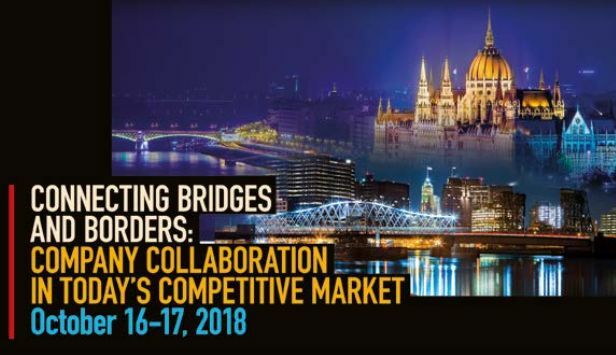 More than 150 business leaders, educators, and entrepreneurs will gather in Budapest, Hungary next week to attend Connecting Bridges and Borders, a grass roots civic and academic movement hosted by New Jersey City University and led by Dr. David Weiss, Founder & Director of the Institute for Dispute Resolution (IDR) at New Jersey City University. Representatives from New Jersey will be joined by participants from Hungary, Japan, United Kingdom, and Croatia. “This program is the culmination of a two-year relationship investment to build sustainable partnerships which will increase entrepreneurship and innovation between our two regions of the world,” said Dr. Weiss. This event will include elected officials, representatives from New Jersey’s higher education, banking, health care, legal sector, and technology stakeholders – all with one shared goal- to build collaboration with an international community and advance business for New Jersey. “Innovation and expanding opportunities to grow the digital highway between Central Eastern Europe and New Jersey is necessary to advance global economic advantages we can all benefit from in today’s highly competitive environment,” Dr. Weiss added. During the two-day conference, thought leadership and practice focused topics will include; building an international business platform for small start-ups, privacy data, and settling disputes using mediation. Panel discussions will be hosted at Elte Faculty of Law and IBM, Budapest. The conference will also focus on STEM- with New Jersey and Hungarian start-up technology companies sharing their recent launches, discussions around building viable eco-systems to support global and local technology initiatives and support innovation in the field of STEM. The closing program will include a round table discussion between the American Hungarian Chamber of Commerce, Commerce and Industry Association of New Jersey (CIANJ) and Budapest Chamber of Commerce, and the Hudson County Chamber of Commerce. “We are so proud of the international leadership New Jersey City University has taken to help our students, our local community, and our state to become a competitive stakeholder in the global marketplace,” said Dr. Sue Henderson, President, New Jersey City University. The mission at New Jersey City University (NJCU) is to provide a diverse population with an excellent education. The University is committed to the improvement of the educational, intellectual, cultural, socioeconomic, and physical environment of the surrounding urban region and beyond. Established in 1927 as a training school for teachers, today NJCU is among the most comprehensive universities in the state. Located in Jersey City, NJ, and minutes from New York City, NJCU’s fully accredited College of Arts and Sciences, Education, Professional Studies, and School of Business offer 43 undergraduate degree programs and 29 master’s programs and 3 doctoral programs, including emerging and interdisciplinary fields. NJCU students engage in rigorous applied-learning experiences that include opportunities to study abroad, and cooperative education internships. NJCU operates two additional campus sites—NJCU School of Business at Harborside Plaza 2 in Jersey City’s financial district and NJCU at Brookdale in Wall Township in Monmouth County.